Srimad Bhagwad Gita is the conversation between Arjuna, symbolizing the ordinary man who is confronted with the difficulties of life, with Lord Krisna. The fierce battle between Kaurvas and Pandavas is to ensue. Arjuna dejected by the thought of killing his own blood relations refused to act. God in the manifestation of Lord Krisna enlightens Arjuna not to despair and act to resurrect religion. There are eighteen sections of this conversation which for centuries has been source of enlightenment to millions seeking peace and salvage in the lotus feet of Sri Krisna. Not only in the revealing of mystery of life, the transcendental knowledge flowing from the Mukharvinda of Madhava opens up the entangles of death which is even more mysterious. Bowing to the lotus feet of my Sadguru, self seeks refuge in the arms fold of Sri Sri Radha Madhava who is The Ocean of kindness. 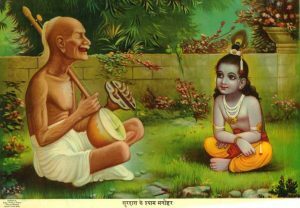 This Gita blog is a very small effort in singing the praise of the Lord which by no means can be done without His grace and will. I bow to this divine light. Happy Deepawali To All…..May this Diwali illuminate your life with endless joy, prosperity, health & wealth forever. 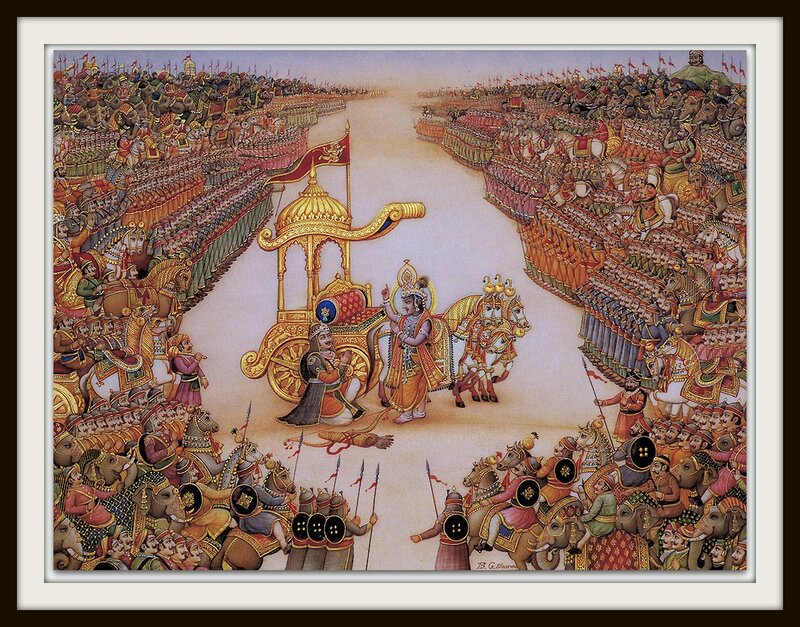 The name of the twelfth chapter of Shrimad Bhagvad Gita is Bhakti Yoga. sreyah–best; hi–certainly; jnanam–knowledge; abhyasajya–by practice; jnanat–better than knowledge; dhyanam—unrelenting focus and concentration like during meditation; visisyate–especially considered; dhyanat–from meditation; karma-phala-tyagah—to perform required actions without expecting the results of the outcome; tyagat–by such renunciation; santih–peace; anantaram–thereafter. It is best is to do any activity or practice with its complete knowledge, but more than knowledge it is still better to act with your unrelenting focus and concentration. Above this unrelenting focus and attention is to act without expecting the results of outcome i.e. doing your duty without expecting the fruit of your actions. For this non expectation gives lasting peace to your soul. Sage Ashtavakra says, O king Janaka, Even if God Himself (in the form of Brahma, Vishnu or Mahesha) gives you lessons of Supreme knowledge, you cannot attain well being or peace of mind and body. To attain this peace ,you will have to forget all materialistic things from your mind i.e. state of oblivion where no thoughts of materialistic things exist. Do your duty and perform the required actions without looking or expecting the fruit of those actions. Sometimes after doing our best of effort, we don’t get the desired results. 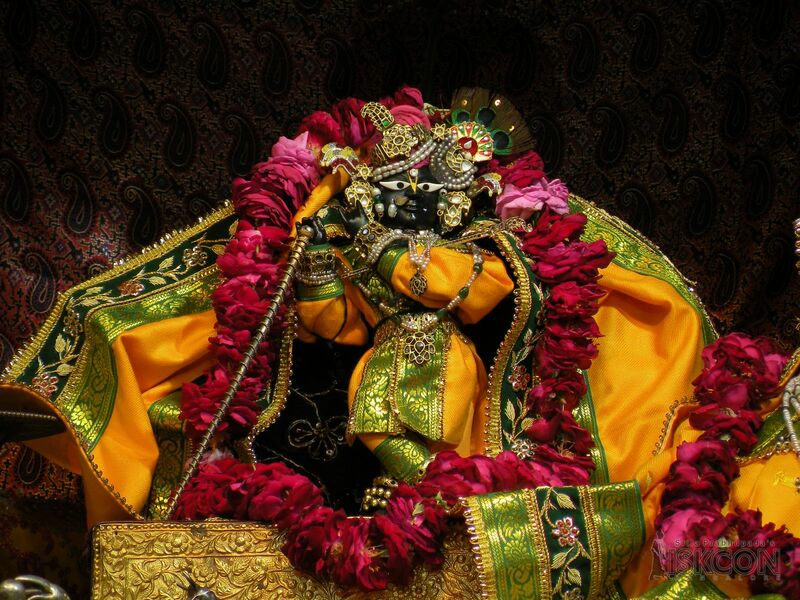 Krishna says that the outcome of the desired results is controlled by Him. So one should not get disappointed and keep on doing what is required and move further. Don’t keep the thoughts of materialistic things in your mind and remain in a state of forgetfulness. In either of the situations of good and bad, this state is going to benefit. If we forget the losses and bad things happening in our lives, we can save our health from the harms of stress and tensions. Similarly the gains and the achievements in life bring with them the vices like proud, ego, greed, lust and anger over a period of time. If we forget these also, we will be saved from the ill effects of such vices which later lead to disturbance of peace of mind. To forget, mind need to be engaged in Krishna’s devotional service by chanting His glories, doing NAM sumiran etc. Chapter 9 (Navam Adhaya) is Raj- Vidya Raj-Guhya Yoga. The name of the ninth chapter is Raj Vidya Raj –Guhya Yoga. Sri Krishna tells Arjuna that the knowledge He is going to share with him is easy to attain and simple to practice. This, The greatest of all knowledge (Raj-Vidya) and the most secret one (Raj-Guhya), knowing which the person becomes free of all bondages and miseries of this aggrieving world. madyājī = My worshipper, namaskuru = Pay obeisance; mām = to Me. Always keep your mind engaged in Me, become My devotee, Worship Me and pay obeisance to Me. There has been a saint named Ras Khan who had supreme devotion for Sri Krishna. 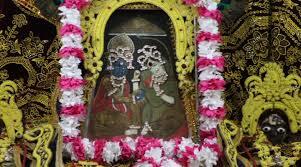 His supreme love for Sri Krisna is seen in his creation of Dohas (couplets), padawalis and savayas. Listen to everyone, but remain quite, don’t speak anything. In this manner, live in this world. Perform all your vows and practices with sincerity—they will carry you across this worldly ocean of existence. Though the woman carrying pot is talking, laughing with her companions on the way but her mind is always fixed on the pot on her head so that it should not fall down. We can also do our routine activities living in this world but endeavor not to miss for a moment the engagement of our mind in Sri Krishna. No mortal can escape the shades of sins in leading the day to day life. Sins are committed knowingly or unknowingly even when we are doing our best to escape them. 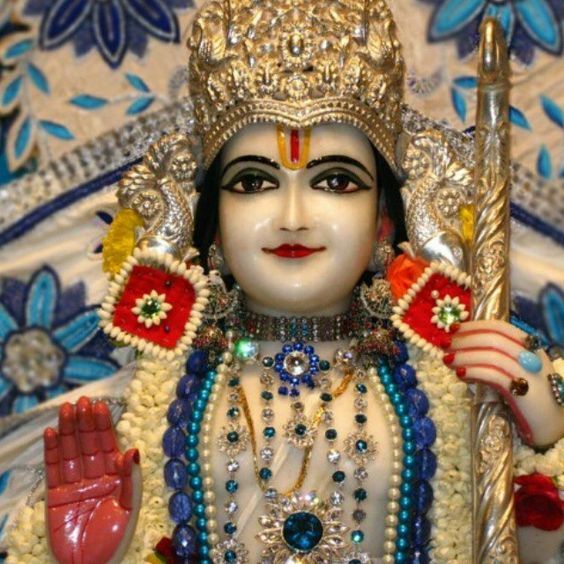 How to do away with the effects of sins and at the same time escaping these, Sri Shukdev Goswāmi tells the simple way to King Prikshith in Srimad Bhāgavatam. King Prikshith being on death row because of a curse, renounced everything and came in the sharan of Sri Shukdev for achieving salvation. But the same can be done easily by serving the saints, i.e. by doing sevā of those who have dedicated their prāna i.e. 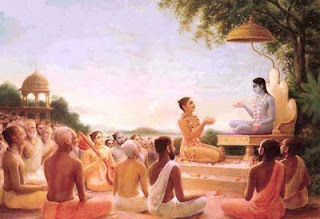 their physical being and their mind in the lotus feet of Sri Krishna. Sevā is selfless service of offering food, shelter or any act facilitating the saints for carrying out their bahjan, sumiran without any interruption. Such saints are so dear to God that even God seeks the opportunity to serve them. There are many instances of saints like Kabir, Tarlochan, Sain, Namdev, Narsi in whose lives God Himself appeared to help them and carry out their jobs. We should seek the opportunity to serve such saints selflessly and without any expectations of worldly things. Washing of sins open the ways for peace and happiness leading to communion with God which itself is a big reward of such service. Singing, narrating and remembering the glories of God is the form of devotion called Kathā Sankirtanam. 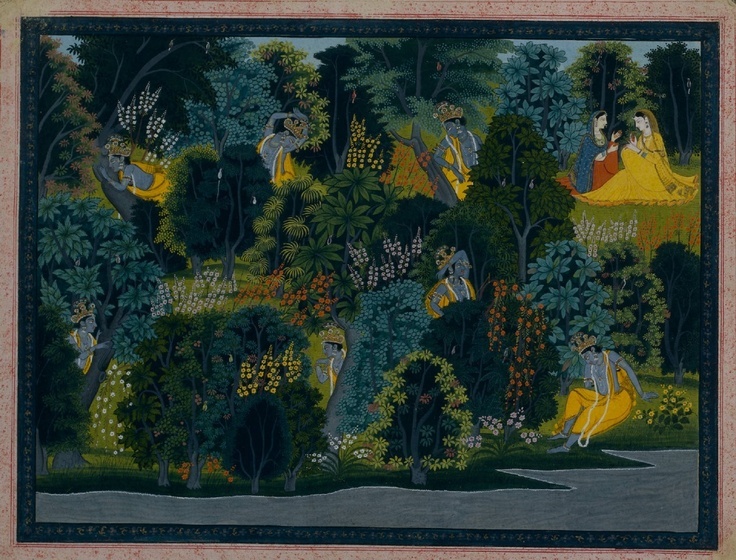 Gopis say, O Krishna, your kathā is like nectar which gives relief from the severe pain of your separation. Saints have sung in their hymns that your kathā destroys all forms of the sins. Mere listening to your kathā brings good fortunes in life. Those fortunate enough who have done great charities or good deeds in their present or previous lives can only have the privilege of enjoying the bliss of your kathā. Pārjāt ih har ko nām. Kāmdhen har har gun gām. Sabh te ūtam har kī kathā. Guruji says that name of Hari is such that the person who recites it, acquires the sweet and divine smell of Parijāt flower (a divine tree) found in heaven. He is rid of all the vices of this world and is bestowed with the pleasing virtues like Pārijāt which are liked and honored by all. 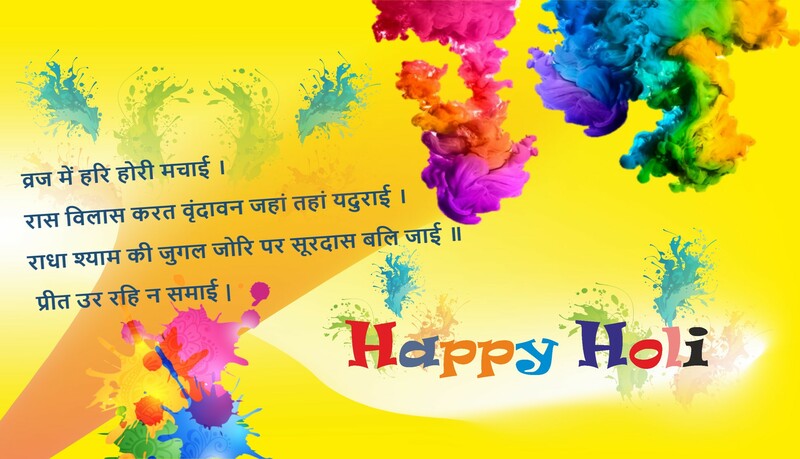 The name of Hari is like Kāmdhenu (a divine cow) who fulfils all the wishes by mere mentioning. And the best of all is the Hari Kathā from where the person gets the inspiration, knowledge and interest to move on to the path of communion with God. In Hari Katha, listening to His Glory destroys all pains and sorrows of mind. 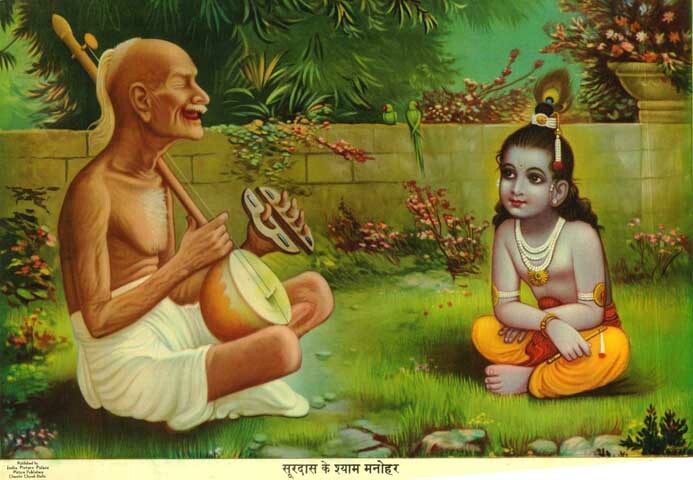 Tulsidas ji says that meeting of saints and the opportunity to listen Hari Kathā, both are not easy to find. It is by His grace and His anugraha shakti that a person is fortunate enough to get to meet the saints and have the privilege of listening to Hari kathā. The first step for seeking the communion with God is to pray Him and wish for the opprotunity to be in the śaran of the saints as these saints have the nectar of Kathāmritam. Śaranam has the meaning of taking refuge or shelter. Once taken in refuge it becomes the duty of the saviour to see the well being of the seeker come what may. Sarva-dharmān parityajya mām ekam śaranam vraja [Bg. 18.66]. Krishna says leave all types of dharmas i.e. religious rituals mentioned in Vedas or Shastras (holy books) as they may or may not be easily understandable to you and you may not be able to study all of them in your lifetime. The easiest way out is to take the refuge in me i.e. come to my śaran, I will take care of you, I will protect you, I will get you what is needed for you. It is mentioned in Srimad Bahgavatam that Sanakaadi saints (four brothers Sanak, Sanand, Sanat and Sanatan, sons of Brahma) who keep moving in the universe and have the access to Vaikuntha Dham anytime, the divine abode where Lord Vishnu resides, always recite “Hari śaranam” i.e. 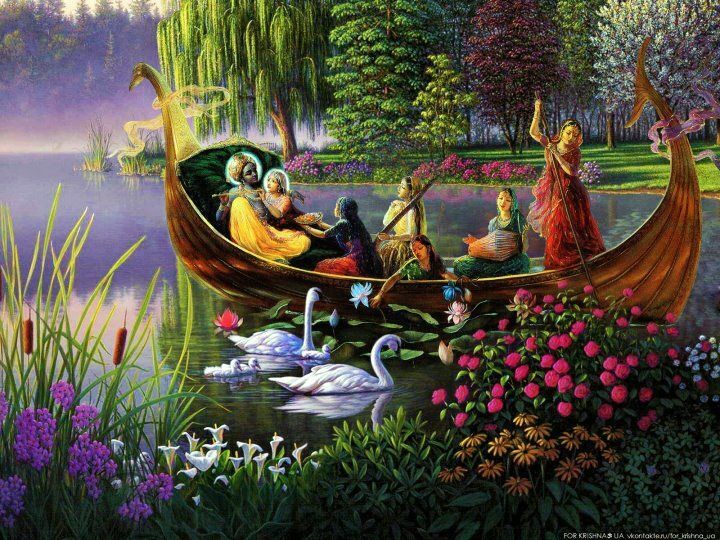 We are seeking the refuge in the lotus feet of Sri Hari. Guru Teg Bahadur Sahib says O my mind, come to the saran (refuge) of Sri Hari who is patith puneeth i.e. the One who wash away the sins and He is the one who takes care of the helpless. 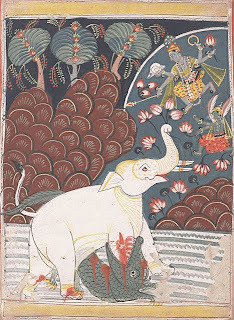 It is He who saved the gaj (elephant) from the grasp of the grah (crocodile) when he cried for help and remembered Him with the offering of lotus in his trunk. Guru ji says if He is such a saviour then why do you forget Him. Vibhishan said O God, You are the One who destroys all the pains of this world, Upon hearing your glory I have come to your saran, Helpless as I am, after seeking Your refuge, my mind is in peace. ‘Kripa’ (कृपा) or Divine grace that is everflowing love and compassion is being bestowed by Him on one and all.It is His anugraha shakti i.e. kindness which awakens the soul to search for truth and seek the path of spiritual liberation. Once the realisation takes place, the soul is liberated from the worldly desires and finds eternal peace in the communion with God. Sri Madhavacharya (13th century saint) held that grace was not a gift from God, but rather must be earned. Having got the precious human birth which itself is by His grace, we should endeavour to make use of it to repay for his kindness. Various scriptures, literature have been written on how to achieve salvation i.e. moksha which is break from birth and death cycle. At the time of your death. 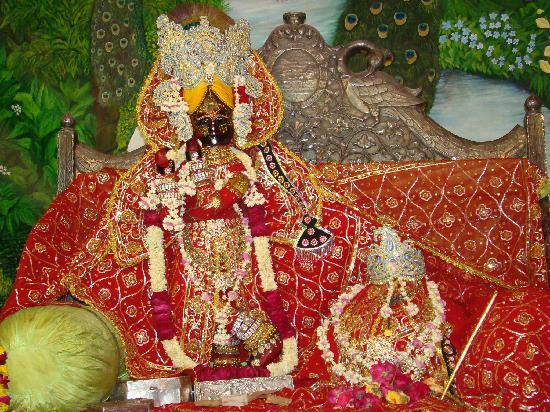 Bhaj has literal meaning of Naam Sumiran, kirtanam, dasya bhavam etc. 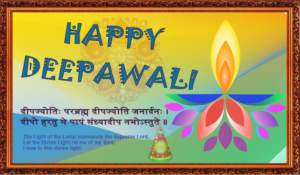 which have come from Navdha Bhakti (nine types of bhakti). The soul seeking Bhagwad Kripa keeps himself away from ego and worldy desires. 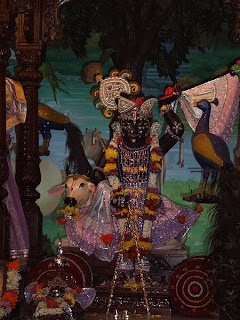 He moves on to the path of self conciousness over ruling the pain of death and sorrow and manifests himself in the feet of Sri Sri Radha Madhav.